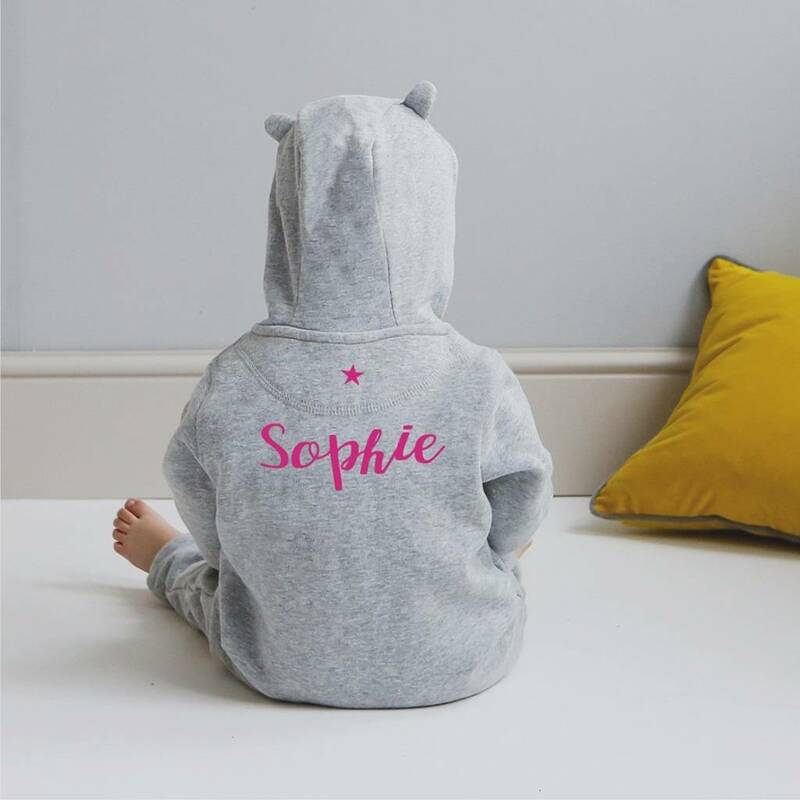 Introducing our Personalised Super Cuddly and Cute Zip Up Onesie. 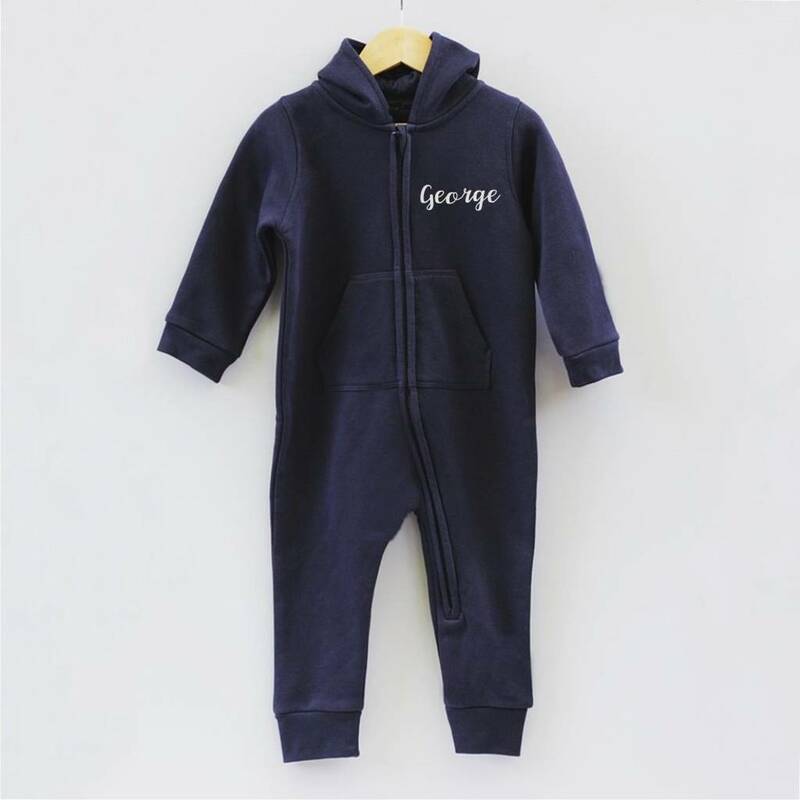 This super cute and snuggly Onesie makes a great gift for a little one and will keep them lovely and toasty. Very versatile, can be worn indoors or for playing out. 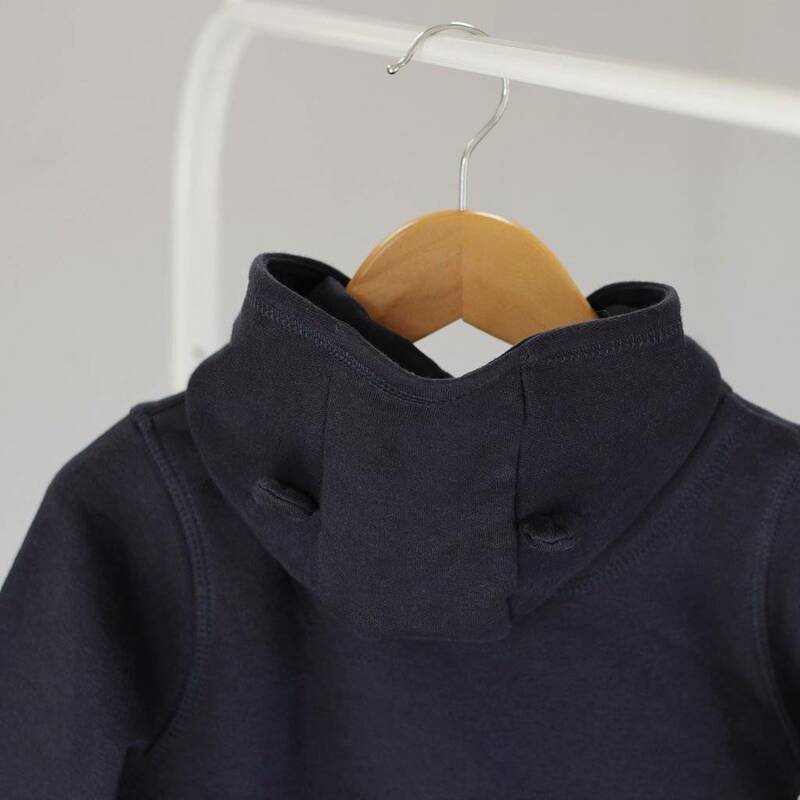 Available in Soft Grey and Navy Blue. 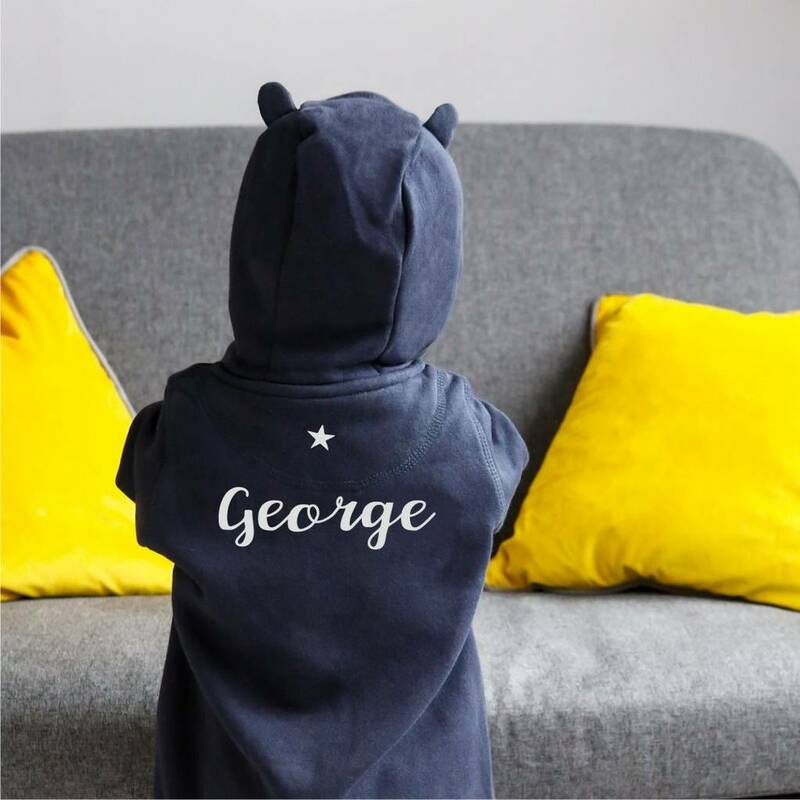 Our Onesie's have a Kangaroo pocket and a hood with ears with a single Jersey hood lining. Personalise with your child's name on the front and the back. 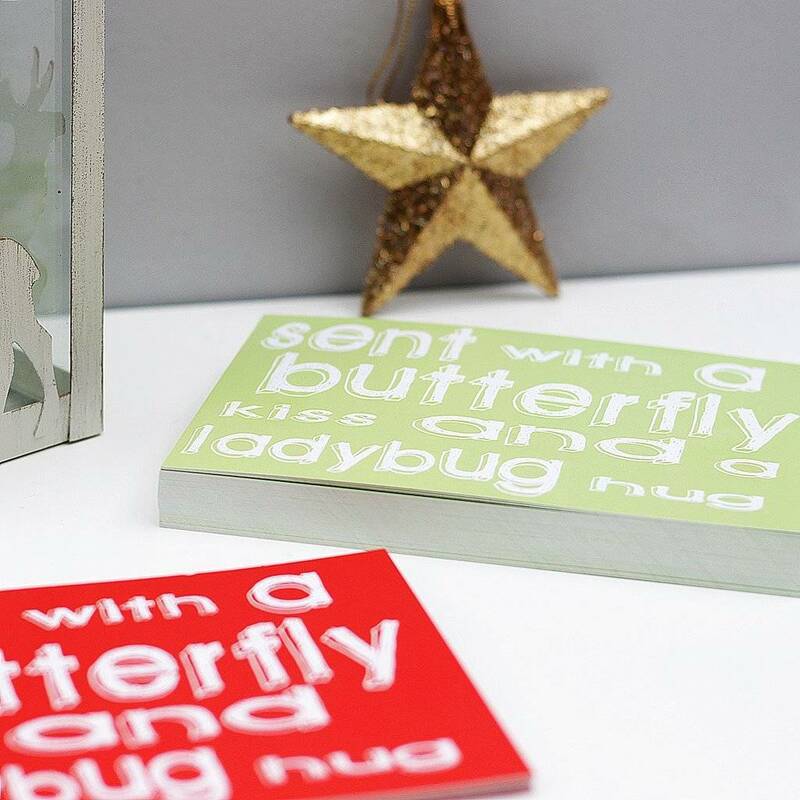 Choose from two different font styles. 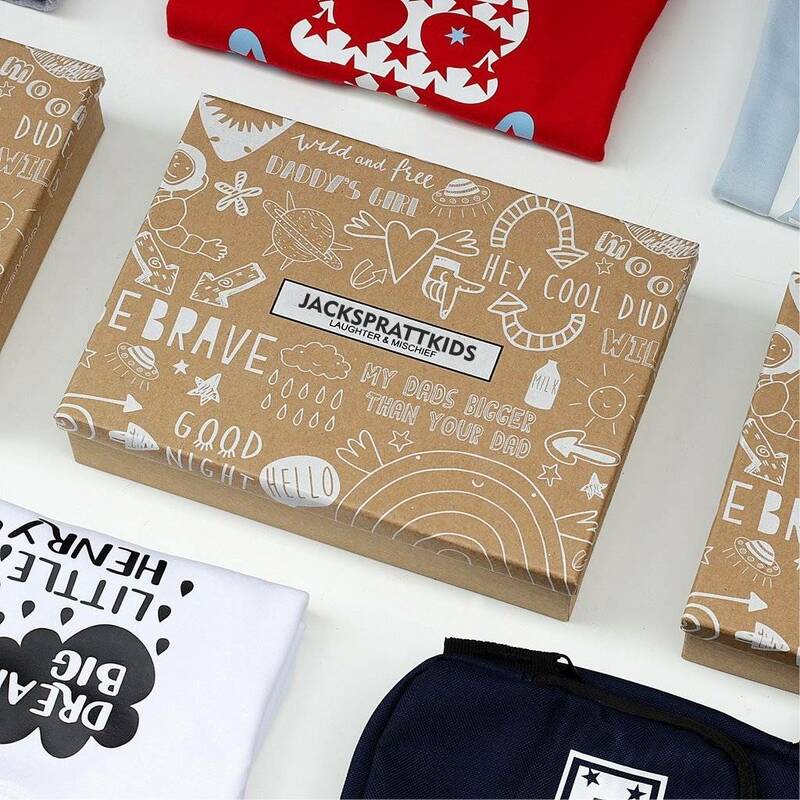 All of our Onesies are hand printed by us in Lancashire. We have just added the larger sizes to the range. These start at 3-4 years upto 13 years. They do not include the ears on the hood. 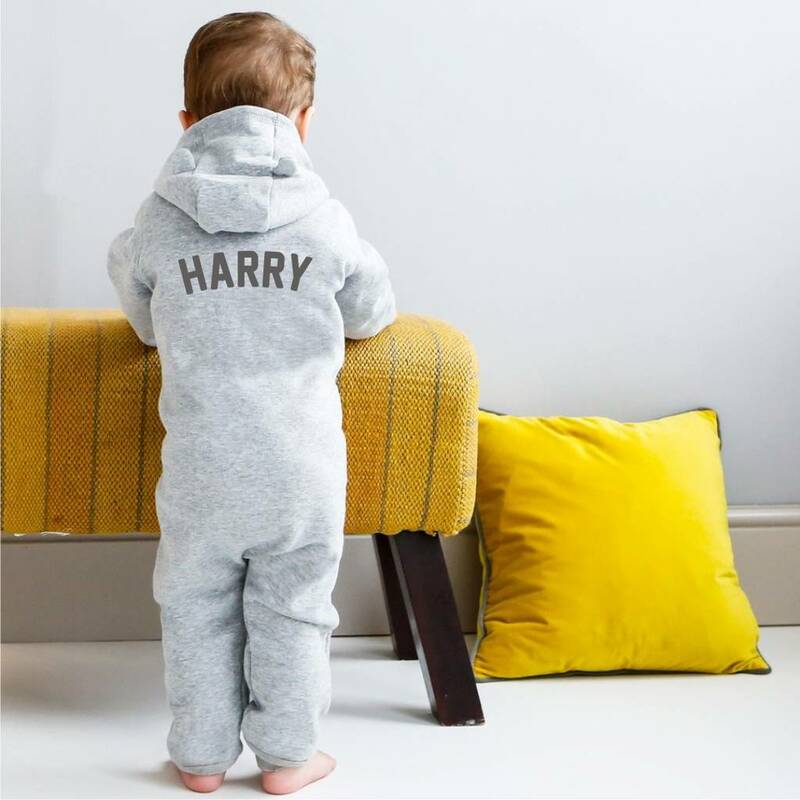 Our Onesies have been designed to be a stylish, slim fit and are made from 100 % luxury cotton.